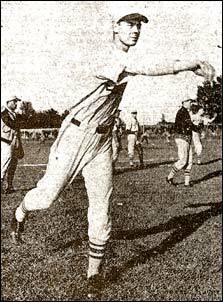 The Victoria baseball season kicked off Saturday, May 10th at Royal Athletic Park with the Eagles trouncing Pitzer & Nex 11-0. 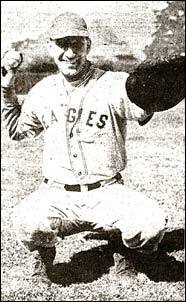 Left - the Eagles new outfielder, Stew McNeill is seen at bat as he poked the game's first hit, a double, and advanced to score the first run of the season. 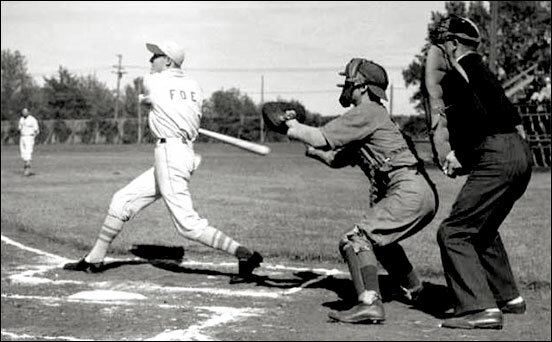 The catcher is Henry Woodford of the Gasmen and the umpire is Tommy Restell. 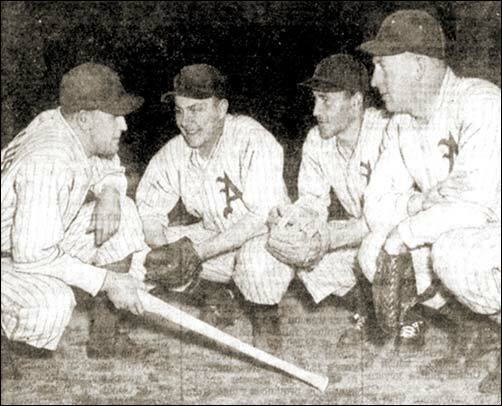 Below (left to right) - Eagles right-hander Stan Davies, catcher Reg Patterson, pitcher Russ Richardson and pitcher Les Stobo. Four key members of Angelus of Vancouver's Burrard League - left to right - Manager Jimmy Condon, Ralph Stong, Billy Adshead and Coley Hall.